Ever take a turn a little too fast, hit a puddle a tad too deep, or maybe a patch of black ice and realize you’ve momentarily handed over control of your vehicle to the hazards of the road? For most of us, it’s a moment that lasts but a second before the tires bite into the pavement and place us back on track as our grip loosens, and our heart settles. While some hazards are unavoidable, these moments serve as an important reminder of the dangers of worn tires and their ability (or lack thereof) to safely take us to our destination. 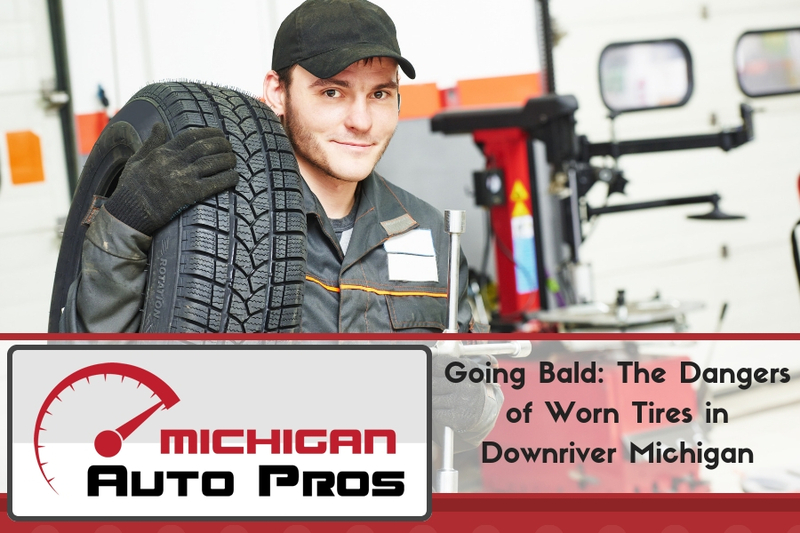 If you’re unsure of the condition of your tires in Downriver Michigan be sure to read these dangers that can be associated with bald tires on your car. It may seem obvious, but a vehicle’s tires serve as its only point of contact with the road. Because of this, they must endure a wide range of ever-changing variables to ensure safe and efficient handling. A tire’s contact patch – that is, the portion of the tire which is in contact with the pavement at any given time, often consists of mere inches. Vehicle and load weight, as well as tire pressure can influence the size of the contact patch. When driving with worn tires, these vital inches of rubber that serve as a liaison between driver and road become inefficient or unable to perform their job, exposing both the driver and other motorists to the dangers of worn tires. A quick internet search will leave your head spinning as fast as your tires, and you’ll probably walk away with more questions than answers. Truth is, there is no hard and fast rule dictating when to change your tires. The National Highway Traffic Safety Administration hasn’t outlined any specifics, and instead suggests motorists check with tire manufactures. Anywhere from three to ten years are figures commonly thrown about by various tire and automotive outlets. The dangers of worn tires, however, are heavily influenced by region, climate, and driving style, and should serve as your primary assessments for how often your tires should be evaluated. Heat breaks down the rubber’s chemical compounds and contributes to the dangers of worn tires. As you drive, the friction between tire and pavement creates heat. While this type of heat is mostly unavoidable and can enhance a tire’s traction, too much can prematurely wear a tire. Drivers in warmer climates need to be especially mindful of this and make frequent visual inspections of their tires. We’ve all been there – the morning following the first chilly night and we’re met with that orange light warning us that our tire pressure is low. Cold can reduce a tire’s pressure, and riding on under-inflated tires can have a tremendous effect how fast they wear. It also hurts gas mileage. Have you ever tried riding a bicycle with tires that weren’t fully inflated? It’s a struggle. But once filled, it glides down the pavement with ease. With tires that aren’t properly inflated, a car’s engine must work harder, and requires more fuel to do so. Clipping the curb on a tight U-turn; spinning the tires during last year’s nor’easter; chewing up the miles on those lengthy highway commutes – all constitute tire abuse and should serve as the first line of assessment when evaluating tire wear. If there is any doubt, it’s best to have the tires rotated and inspected by a qualified service professional. Tires mounted to rims are generally considered in-use, whereas un-mounted tires are not. If you’re like most people, your tires are probably on your car’s wheels right now. Even if you haven’t used the car in a week or more, the tires are affixed to the rims and will therefore succumb to wear faster than un-mounted tires. Sunlight, road debris, and climate conditions (coastal dwellers beware!) can all encourage a tire to degrade faster. For this reason, it’s wise to avoid purchasing used tires, especially when their history is unknown. The money saved could easily be offset by costly repairs and tremendous inconveniences down the road. Now that you understand some of the causes of tire wear, let’s examine the dangers of worn tires. Suffice to say, all motorists understand what tires do. Tires are essentially the vehicles shoe’s, but the dangers of wear go far beyond blistered feet. Tires do more than grip; they also help to expel water. Many tires have small channels known as “sipes” which can begin to erode. Sipes, along with the tread, are responsible for allowing water to flow out and away from the tire. As they reach their service limit, the chances of hydroplaning (essentially driving on top of water rather than through it) increase dramatically. Tires with little or no tread are worn so far down that much of the original rubber is gone. This makes them far more susceptible to dangerous blow-outs caused by even minor debris, which could have life-threatening consequences. Bald or badly-worn tires will result in poor handling. A vehicle will feel less responsive, breaking distance will increase, and traction in snowy or icy conditions will suffer. Poor handling is one of the most immediately apparent dangers of worn tires. The dangers of worn tires put everyone at risk – not just the driver. Passengers, other motorists, and even pedestrians are at risk when a vehicle’s handling is compromised. All tires reach a point where they are no longer serviceable. Continuing to use them when they are beyond their service life puts everyone at risk and may potentially lead to costly legal fees should it be proven a driver was negligent in the maintenance of his or her vehicle. Needing tires on short notice is a major drag. Getting sidelined by a flat or stuck in a ditch is enough to ruin anyone’s day. That’s why we always recommend you monitor the condition of your tires in Downriver Michigan before disaster strikes. At Good Care Auto in Downriver Michigan, they employ a team of skilled technicians who can inspect your vehicle’s tires and let you know exactly how much life they have left. 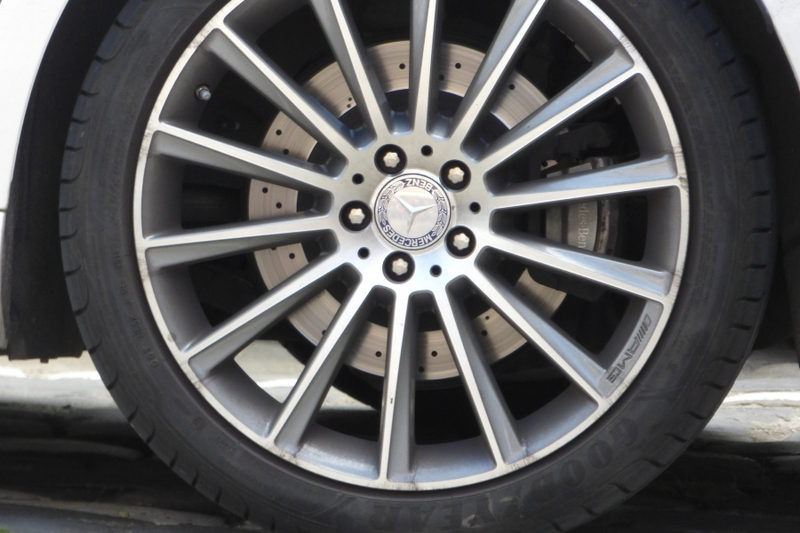 They offer a wide range of tire services including mounting, balancing, and rotation. Drop by or call (734) 285-1188) and schedule an appointment with Good Care Auto today!